The 12,000-square-foot Manhasset Studio is filled with timeless modern classics. You’ll find two floors and 24 finished rooms of lounge chairs, sofas, desks, dining chairs and tables, rugs, lamps and accessories at the Manhasset location of Design Within Reach. The studio features designers of mid-century classic and authentic modern design focused on form, function and quality. Knowledgeable and attentive account executives like Beverly Royce offer complimentary services including one-on-one consultations to help embellish your home. Royce discussed her favorite designers, must-have items, trends and summer picks. What makes the shopping experience at Design Within Reach so special? How attentive the account executives are to all our customer’s needs. It’s a focus that exceeds any other retail environment. 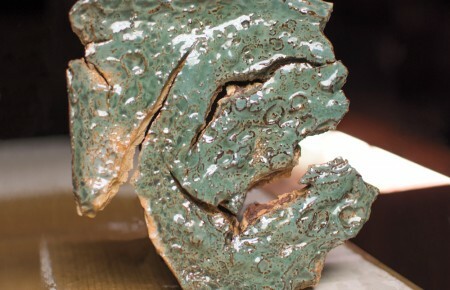 We delight in sharing the many stories behind the various pieces we carry. Customer service is first and foremost, which includes floor plans, 3D room planning and home visits free of charge. We ask many questions to build and establish long-term customer relationships. Like all DWR studios, the Manhasset team is comprised of an unusual array of creative talent from diverse backgrounds. How would you describe the design philosophy of DWR? It’s an extremely strong commitment to pure modern aesthetics. Our timeline is broad from the 1920 bentwood pieces of Josef Hoffmann to present day designers inspired by the modern movement. The obvious core of our offerings are the mid-century classics however we introduce brand new, exclusive collections by designers living and working today just about every month. Our Connecticut headquarters (corporate office) not only supports 36 studios, but is also home to our Stamford Studio. All our locations have a similar blueprint for product arrangement. DWR Manhasset is 12,000 square feet featuring an incredible two story light cloud filled with George Nelson Bubble pendants designed in the 1950s and additional fixtures designed in the past 10 years. It’s staggering how far advanced Ray and Charles Eames were for the 1940s through the 1960s. Their experimentation with molded plywood would forever change furniture design. The iconic Eames Lounge Chair (ELO) and Ottoman were designed to be multifunctional—both simple and comfortable. For over 60 years the ELO has only been available in leather. But we recently introduced a new offering: Maharam Mohair. 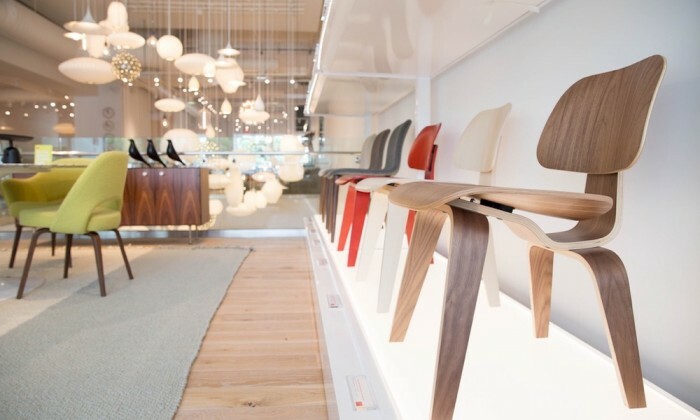 Herman Miller manufactures the Eames Lounge Chair and Ottoman in Michigan. 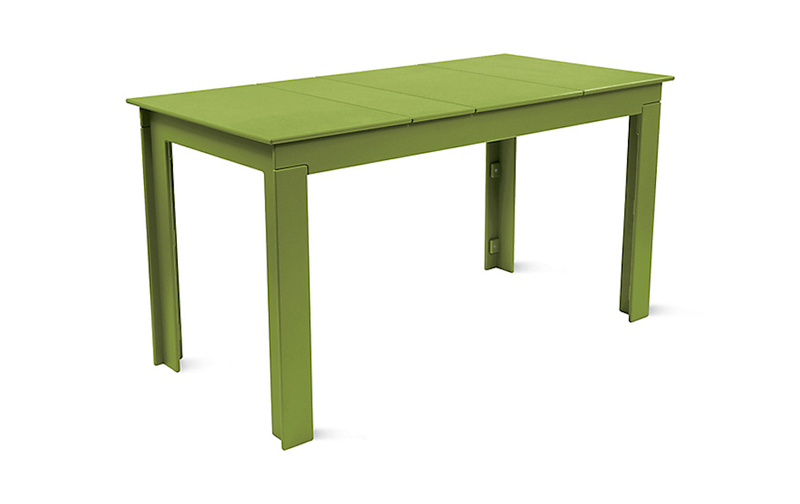 The Lollygagger Picnic Table is American made and comes in eleven colors. Are you seeing any new trends in furniture and design lately? 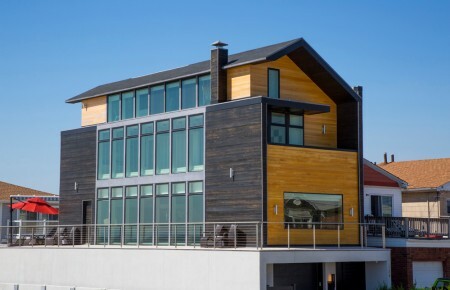 For a number of years, gray has been the go-to interior design color. Here in the Manhasset studio, we are starting to see blush have a strong presence. Our Matera Storage Bed features pretty pink linens, blankets and throw pillows. Chrome and stainless finishes have been at the forefront for some time and, happily, brass and copper are back in the mix. Both the Tom Dixon Melt and Beat lighting collections are getting a lot of attention. The Saarinen Table designed by architect Eero Saarinen consistently draws customers in, and rightfully so, due to its timeless, beautiful lines. Today it’s as coveted as it was in 1956 when first introduced. Another longtime favorite is the Cherner collection, most especially the armchair. A wonderful, sculptural piece, it can seamlessly live in both traditional and contemporary settings. Our Nelson Ball Clock and Eames Hang It All (coat rack) are affordable, visually engaging accessories that are available in multiple colors. The stackable Woody Armchair resembles wood but is made of plastic and works outdoors and in. What are your summer picks from the Manhasset location? 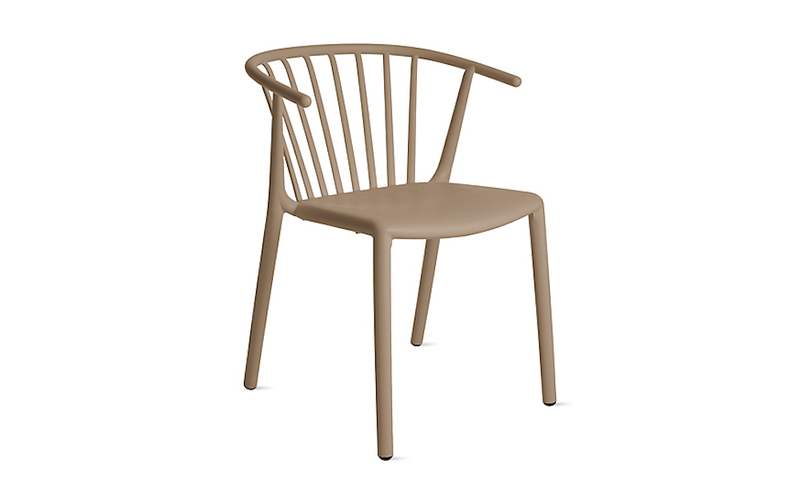 Our favorite summer pick is the new stackable Woody Armchair made in Spain. Its design mimics a familiar wooden chair, yet plastic makes it durable and maintenance free. The very popular Loll Adirondack Chair is available in 11 finishes which makes for a pop of color on front porches and around an outdoor fire pit. We love that Loll products are 100 percent recycled plastic from milk jugs, and ship flat to save on packing materials. There are umbrellas, and then there are Tuuci umbrellas, inspired by the design of sailboats, they are completely modular and of high commercial quality. We also offer an array of unique outdoor accessories: the Luau Portable LED Lamp, Uma Sound Lantern and colorful Dusen Beach Towels.